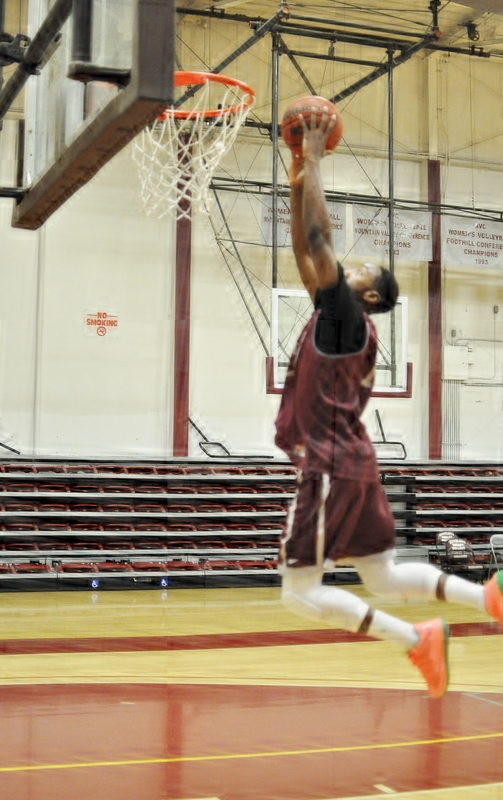 Brandon Wade was a red-shirt at Antelope Valley College last year. He graduated from Eastside High School, Lancaster, CA in 2011. Although he played basketball at Eastside during his senior year, he only played 10 games and averaged 2.9 points a game. As expected, Brandon never appeared in the “college basketball picture.” According to Wade, for two years, he worked to get his priorities together which included basketball, academics, and dedication to succeed. Out of the blue last spring, Brandon Wade walked into the Antelope Valley College gym and asked Coach Taylor if he could workout with the team. In a moment of weakness, Coach Taylor agreed and the story begins and where it will end nobody knows. Wade is a shooter! There is no question about that skill. A deadly long range shot. He worked hard last year on his defense, passing, and learning the college game. This summer is key for Brandon. There is no question whether he is a shooter! He now has to prove that he is ready to play shut down defense and all of the other skills needed to play college basketball. Add to that, he will get a chance to play against competition for the first time in three years. No one knows yet how far Brandon will go in basketball but, we do know how how hard he will work to get there. Brandon Wade played his first college basketball games this fall in the fall shootout. A year and half of intense effort finally came together after taking two year off from competitive basketball. Wade’s long range shooting and foul shooting is outstanding. He continued to add to his skill sets key defensive, passing and high energy this summer and fall. He is ready to join AVC in the fray this year.